The surfer/skateboard imagery collides with rainbow colors and cuteness in the artistic mind of Takashi Murakami. Japanese modern pop artist Takashi Murakami collabs with VANS premium label “Vault by VANS” for this capsule collection featuring not just kicks, but also apparel and skate decks. 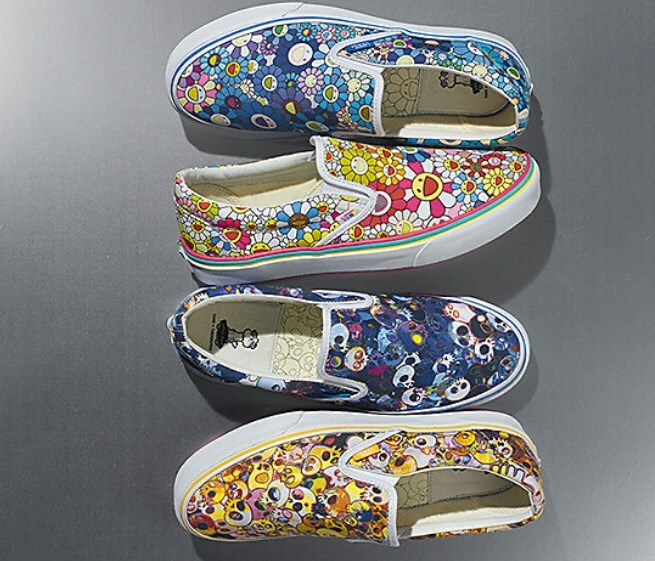 Look for many of these items from the Vault by VANS x Takashi Murakami Collection to drop worldwide on June 27, 2015. Check out: VANS x Murakami Collection.